Artist’s Proof is pleased to announce Perception vs. Reality: an exhibition of works by American artist Shar Coulson. 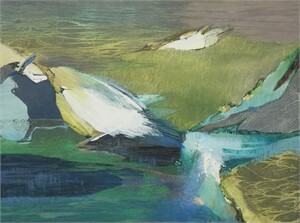 A curated selection of her paintings will be on view at Artist's Proof this October. Please join us for the opening reception on Saturday, October 20th, 2018 at 4 pm at Artist's Proof Gallery located at 1533 Wisconsin Ave NW, Washington D.C. Shar Coulson will be giving an Artist Talk at 5 pm about how to effectively use color on the canvas and within the home. The exhibition will be on view from October 20, 2018, to November 25, 2018. RSVP HERE Formally trained in atelier-style realism, Shar Coulson (American, b. 1955) finds her passion runs most rooted in the world of Organic Abstraction. Not a school or a movement but characterized by “the use of rounded abstract forms based on what one finds in nature,” which was prevalent in artists and sculptors such as Kandinsky, Miro, Henry Moore, and Jean Arp. Finding alignment with Georgia O’Keeffe’s sense of color and sensuality, she is inspired by the Abstract Expressionists before her, who stepped into the unfamiliar and made it a credible artistic path. 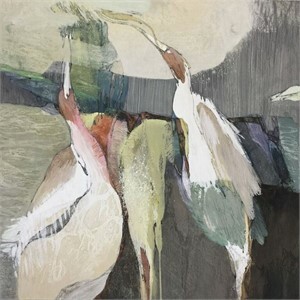 Influenced by the connection between humanity and nature, the organic qualities of Coulson’s (Figure 1) paintings stem from her love and respect for nature and its mysterious repetition of line and form. In the beginning, each painting is abstract in all aspects. As the figuration appears and disappears within the gestural movements, Coulson is forever probing the idea of perception vs. reality. 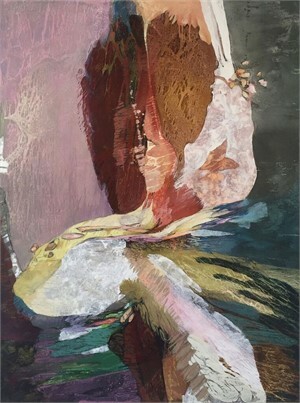 In her series Fauna Flora Figure (Figure 1), Coulson generates various visual sensations and perceptual experiences. Each viewer observes differently abstract subjects that appear and disappear back into the canvas. One may see figures, animals or plant-like forms, but another only abstract shapes and colors. The reality of the painting is no more than each viewer's unique perception. The viewer’s experiences dictate their perception and reality allowing unlimited viewpoints seen within a single composition. Scanning the painting requires physical movement – looking up and down or from side to side. 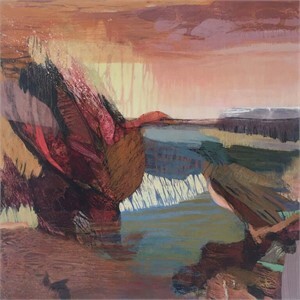 As the gaze explores and expands, the total image built from a sequence of connected impressions or intricate organic nuances ultimately inspires Coulson. As a result, the viewer does not look into the painting. 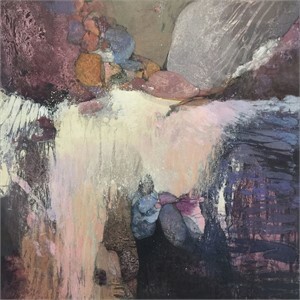 Instead, the painting confronts the viewer as an object with independent characteristics, or even as an environment whose surface features are experienced in a non-representational, literal way. Working from visual memory, Coulson is acutely focused, making split-second decisions that are reactions but based on the knowledge and sense of materials which include acrylic and charcoal on linen, wood panel or paper. Her compositions, both organic and feminine, are derived from her choice of earthy colors, natural shapes, and fluid line work. The organic forms and abraded surfaces of the paint application separate it from so many other contemporary artists. Even though she is a studio painter, Coulson travels and paints outdoors which continues to give her reference for her visual language. Emphasized gestural mark-making, differentiated color and the relation of organic shapes within Coulson’s work captures a sensual enjoyment of landscape as well as the mood and memories that the subjects can evoke. 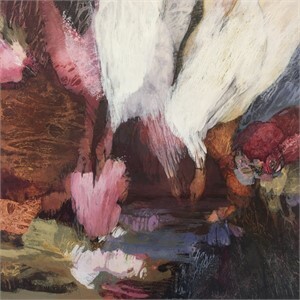 Shar Coulson is a founding member of the Chicago Art Salon and has exhibited internationally. She currently resides in Chicago.